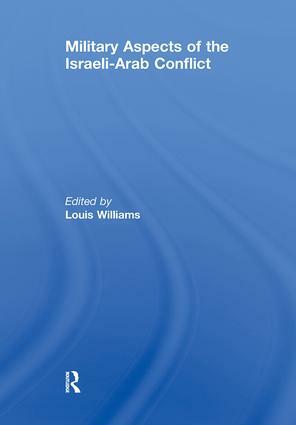 The Arab-Israeli conflict is fraught with political complexity. It entails long-standing, entrenched views on the part of all the participants, direct and indirect, and is heavily charged with emotion. It is a subject of great political and military actuality. The Middle East is fast becoming a testing ground for modern weapons systems and for modern, conventional war doctrines, a recent example being the Yom Kippur War.Most publications - articles, papers, books - on the war were produced while sentiments were still high and the armies still formulating their conclusions. Confusion, controversy, and emotions eclipsed clarity.